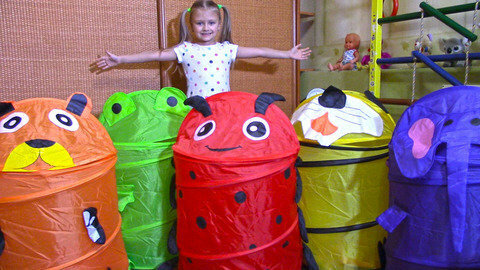 Yasya has a lot of fun with rainbow colors as she plays in this episode of her kid blog. Watch her open and discover different items inside the rainbow-colored storage bins. Identify the different items she picks out of the colored storage bins and identifies the different animals. Go to SeeZisKids.com and find Yasya’s other fun-filled videos.